Last month, MGMT announced some North American dates behind 2018’s infectious Little Dark Age (including a sold out three-night run at the soon-to-reopen Webster Hall), and the band has just added a fourth NYC-area stop at Port Chester’s Capitol Theatre on 5/20. Tickets go on sale Friday (5/29) at 10 AM EST, with various presales beginning Tuesday (5/26). The band will also be playing two sets at Long Beach, CA’s Just Like Heaven in May. Check here for all upcoming dates. The National are heading out on a North American tour this summer in support of their highly-anticipated upcoming LP I Am Easy To Find, which includes two shows at Brooklyn’s Prospect Park with Courtney Barnett in June. In addition to the band’s previously-announced dates, they’ll be stopping twice at Denver, CO’s new Mission Ballroom on September 6 & 7, supported by Alvvays (who are also opening for the band at other stops on this tour). Tickets to these shows go on sale Friday (3/29), with a Cherry Tree fan club presale beginning Tuesday (3/26). All dates and tickets here. 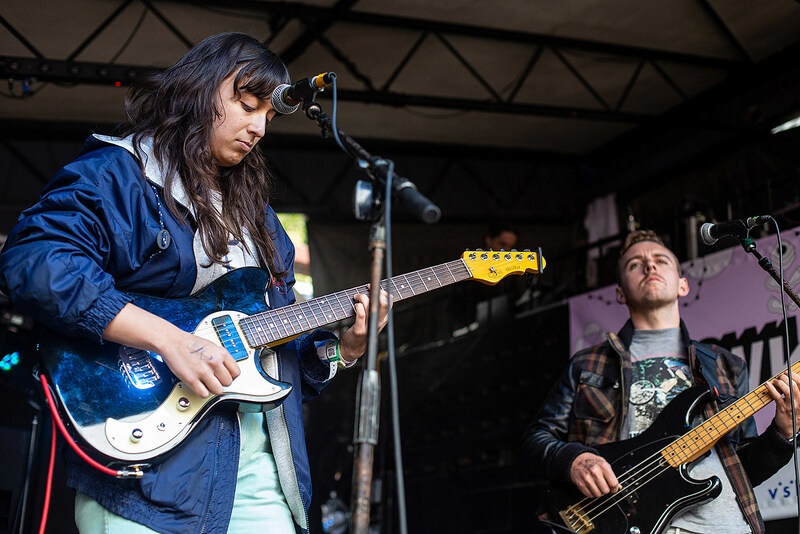 New Zealand’s The Beths recently wrapped up a US tour leg behind their 2018 debut album Future Me Hates Me (one of our favorite LPs of 2018), and they’ve just announced even more North American dates behind the record. The band will hit many cities across the US and Canada throughout the summer, including Chicago, Toronto, Buffalo, San Francisco, Seattle, Akron, Columbus, Denver, and many more cities, with a final stop at Oregon’s Pickathon in August. (No NYC date yet…maybe SummerStage or Celebrate Brooklyn?) The band will also be playing an Australian tour leg next month, and further dates in the UK and Europe throughout May. Find the band’s full list of dates here. The Smashing Pumpkins and Noel Gallagher’s High Flying Birds will embark on a co-headlining US tour with AFI throughout August, which includes an NYC-area stop at Long Island’s Jones Beach Theater on 8/9. The tour also includes several California shows, and the two bands have just added another date to their schedule, at Irvine, CA’s FivePoint Amphitheatre on 8/29. Tickets to that show go on sale Friday (3/29) at 10 AM PST/1 PM EST, with presales beginning Tuesday (3/26). Head here for all dates. California-based label 88rising, whose artists are responsible for some of the biggest names in Asian rap today, will be throwing their second Head In The Clouds festival at Los Angeles’ State Historic Park on 8/17. While the fest’s lineup hasn’t been announced as of yet, it’s safe to say many of the label’s flagship artists (Rich Brian, Joji, Higher Brothers) could be appearing. Register for early bird tickets, which go on sale Thursday (3/28) at 10AM PST, with VIP options also available. Find out more info here. Electronic producer deadmau5 will soon be bringing his ambitious ‘Cube V3′ tour on the road across the US this year. While specific dates for the tour haven’t been revealed, you can now sign up for tickets via Ticketmaster Verified Fan registration, which lists the following cities: Brooklyn (Barclays Center? ), Austin, Boston, Chicago, Dallas, Denver, Houston, Los Angeles, Milwaukee, Minneapolis, Philly, Phoenix, San Jose, Seattle, and Washington D.C.
As previously announced, soulful garage rock vets Reigning Sound will be stopping in NYC for a BrooklynVegan/The New Deal-presented show this weekend at Brooklyn Bazaar on 3/30, and frontman Greg Cartwright has just announced a Brooklyn show of his own the night before, happening at Hank’s Saloon on 3/29 (w/ Benny Trokan & The Bell Guarde, The Rock’N’Soul Ichiban DJs). Greg’s also got a few more other dates too, one with his band Oblivians at Brooklyn’s Music Hall of Williamsburg on 4/27 (co-headlining with The Gories), and a recently-added solo date in Asheville, NC’s Fleetwood’s on 6/8 (with Jesus and the Groupies, Jesse Lee & His Apologies). These are the only Greg Cartwright/Reigning Sound dates at the moment. Energy drink Rockstar will be sponsoring a North American tour with various bands this summer, dubbed the “Disrupt Festival,” and Thrice and Circa Survive are among the headliners. The tour stretches from June through July, including stops in Holmdel, NJ (PNC Bank Arts Center on 7/6), Dallas, Toronto, Denver, Boise, Phoenix, Albuquerque, Tampa, and many more cities. The full tour lineup, and all dates, can be found here. Veteran singer (and current American Idol judge) Lionel Richie will be hitting the road in 2019 for a few North American dates, including a two-night stand at NYC’s Radio City Music Hall on July 17 and 18. He’s also got shows in Atlantic City, Detroit, Milwaukee, Atlanta, Las Vegas, Portland, St. Paul, and more. (He’s also got a live album, recorded in Las Vegas, due out in August.) Tickets go on sale Friday (3/29), and all dates can be found here. Deadpan comic and crowdwork master Todd Barry has a few upcoming standup tour dates on his schedule, including an NYC date at The Loft @ City Winery on 5/23, in addition to other US stops in Washington D.C., Phoenix, Honolulu, Springfield, MO, Greensboro, Kihei, and San Francisco (Clusterfest on June 21-23). Todd will also be in Europe for a few shows in May. Check here for all those dates. Bloc Party have announced 2019 US tour dates, where they’ll be playing their seminal 2005 LP Silent Alarm in full (including a Central Park date in September). Psychic Graveyard, the new band from noiserock vets Eric Paul (Arab on Radar) and Paul Vieira (The Chinese Stars, Doomsday Student) will be on tour this week, hitting Brooklyn Bazaar on Wednesday.